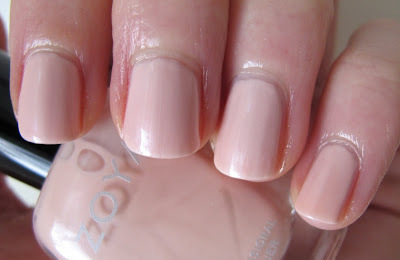 Just a quick post about my evolving NOTD this week, featuring Zoya Marilyn. 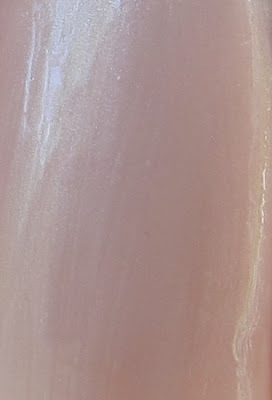 Marilyn is an icy pink-white with lots of pretty shimmer. It's a really pale pink, the kind that usually is streaky. 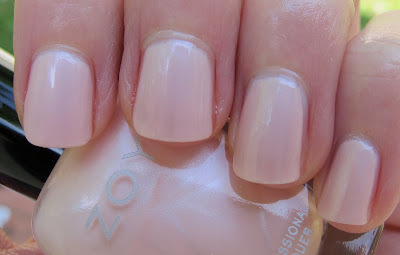 However, Zoya does an excellent job with their pale colors, resulting in a smooth, streak-free finish. This is three coats, but two coats is pretty opaque in person. This polish is a more flattering way to wear an almost white color in the summer. I think the healthy does of shimmer really makes it stand out. I've been kind of searching for a pale pale pink like this for awhile now, so I'm glad I found Marilyn. I wore it on it's on for two days and then got my usual bout of polish A.D.D. So I added China Glaze Crushed Candy! I have to say, this looked fantastic in real life. The pink really glows underneath Crushed Candy. It looks really spring-y and fresh. I'm still wearing it now and do not intend to remove it until it starts to chip and look bad LOL. 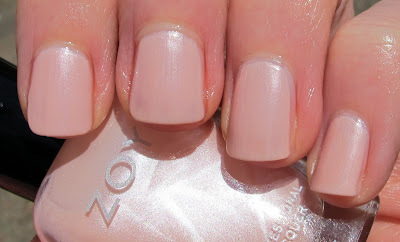 Zoya Marilyn is available online at Zoya. China Glaze Crushed Candy is available online at Victoria's Nail Supply. I really like how those two look together! And the Crushed Candy looks so textured, it looks great! love the crackle over it! Thanks ladies! I still can't help crackling over everything!